A Banner to Put the Grand in Grand Opening! 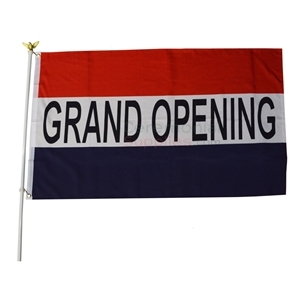 A grand opening ceremony is, as the name would suggest, a grand affair. It is a culmination of your effort invested behind a project, and along with that, it is an opportunity for you to introduce your business to the world. As such, you need to make the right first impression. A step in that direction is getting your ceremony's visual appeal in order. 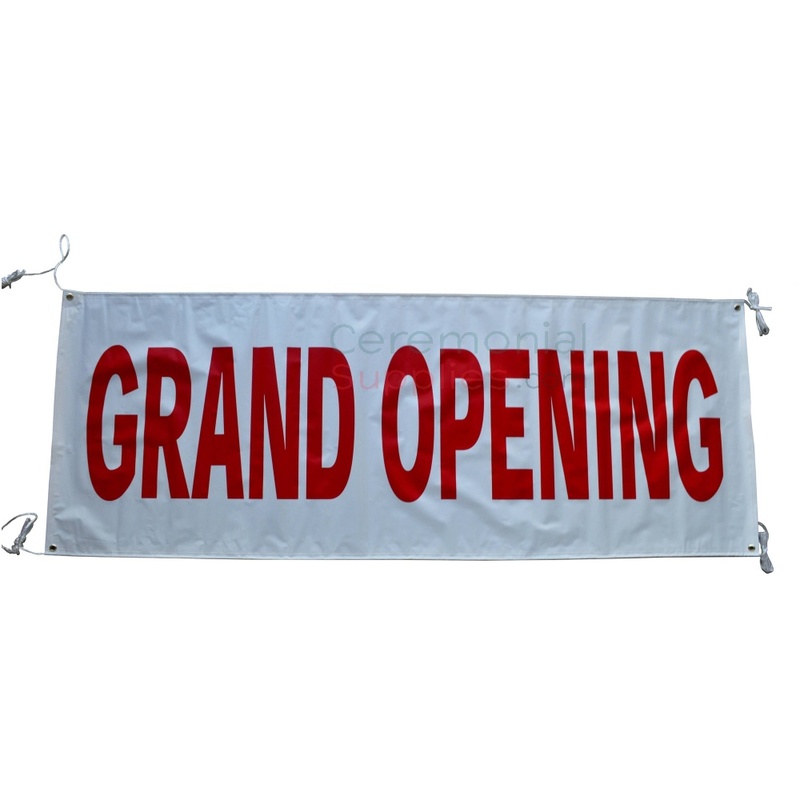 The Plain White and Red Grand Opening Banner is an excellent decoration, as its considerable size makes it highly visible while its contrasting print makes it hard to miss. 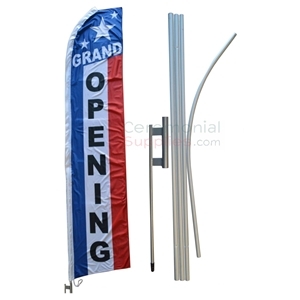 CeremonialSupplies.com proudly houses visually appealing grand opening ceremony banners, flags and decorations. Please browse through the Grand Opening category to choose the ones best suited for your event. 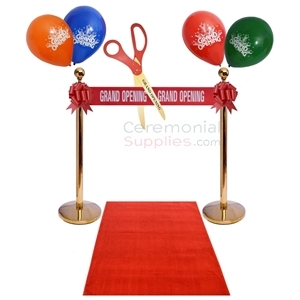 A set of brass stanchions, grand opening scissors, a grand opening ribbon, and decorative bows--this is as comprehensive as a grand opening kit gets. 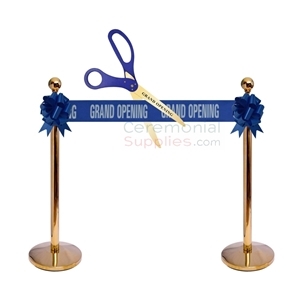 The package includes a pair of brass stanchions standing 41 inches tall and each weighing 17 pounds, a 30 inch giant scissor with 'Grand Opening' printed on it, a printed ribbon measuring 12 yards by 6 inches, and two 8 inch pull bows that can be easily assembled. The color options include blue, red, and black for the scissors, red, blue, green, and orange for the ribbon and red, blue, black, orange, and green for the bow.